Air velocity provides important information on air and wind speed. Monitor the efficiency of your heating and air conditioning system or the force of the wind in your outdoor location. 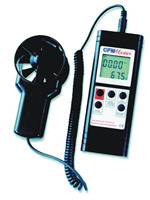 AV1000-001 Thermo-Anemometers  Monitor both air velocity and temperature with this portable instrument. Modular probe allows placement of sensor in remote applications. HH1000SW Software  Log and organize your data all in one place through the RS-232 output on the AV1000. 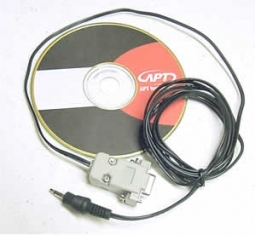 Software and PC connector included. Book mark this page and come back in the coming months to see some of our latest Air Velocity products.